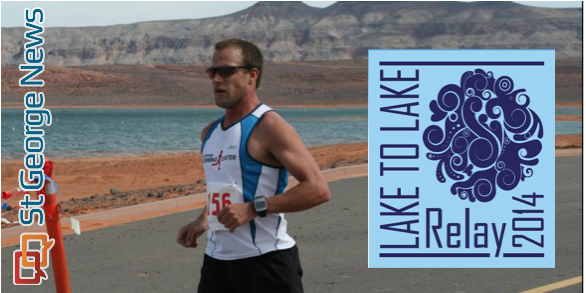 SOUTHERN UTAH – If you have yet to register for Saturday’s Lake to Lake Relay there is still time: You can register at the St. George Recreation Center, 285 S. 400 E., today until 1 p.m. Or you can attend and register Friday at the team captain’s meeting, also at the Rec Center, from 8:30-9 p.m. Friday night registrants will not receive T-shirts. The course is a 50-mile team relay from Gunlock Reservoir to Sand Hollow State Park. The running route will take runners through scenic landscapes of Southern Utah along city trail systems and back roads. Teams will consist of five people – men, women, and mixed – with each individual completing a minimum of two legs, roughly 5 miles each of the relay. For the mixed division you need at least two women on your team. Included is the Ultra and two-person team division. Post relay events will consist of a full banquet at the Dixie Center at 7 p.m. on Saturday night. This will include an amazing pasta dinner, an awards ceremony, slideshow, and a drawing. Additional Banquet tickets are available for purchase from the St. George Recreation Center. The price is $12 for children and $15 for adults. Kids 5 and under are free. If seats are available, you may purchase tickets at the door. When: Saturday, March 1, at 8 a.m.